We'll hopefully catch you next year! Carl set up a beautiful table for his game, and we set up a small display of SOTCW Journals. Had a few people enquire about the SOTCW, so yes, having a 'presence' out there helps, and proves that we are still a society that people have an interest in. We didnt get many interested in playing, but a few chatting about Sotcw, or the early 20th century colonial period, and 3 or 4 wanting to give us money to join Sotcw and disappointed we could not do that only refer them to the Sotcw website. We gave away leaflets and some old paper copy of Journals to boost memory of their intent to re-join! We showed them pdf copy on my tablet of what they could get as members. The 2D mountains are very good. Really rather striking. Thanks for coming along and sorry I didn't get chance to pop by and chat more, I kept getting dragged off to iron out a few wrinkles... Shame to hear that you didn't get much uptake on participation but I think it's good to have the Society visible and talking to people. 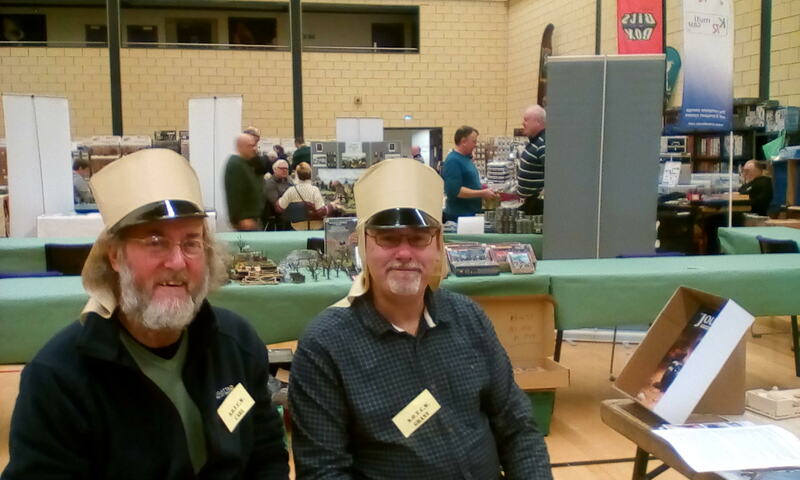 We did get asked by a rep of Wakefield and District Wargamers if we would take the game to Recon 2018, in Pudsey, between Leeds and Bradford. So that was kind of nice and lifted spirits, especially as this gent did play the game! Sadly Leon doesn't include us in his sample above, but his link does take you to 62 photos, where you can find two different views of the Sotcw game! One a photo of our oasis at El Herri, and another of the table looking at the Legion depot centre stage, at a location near Khenifra.